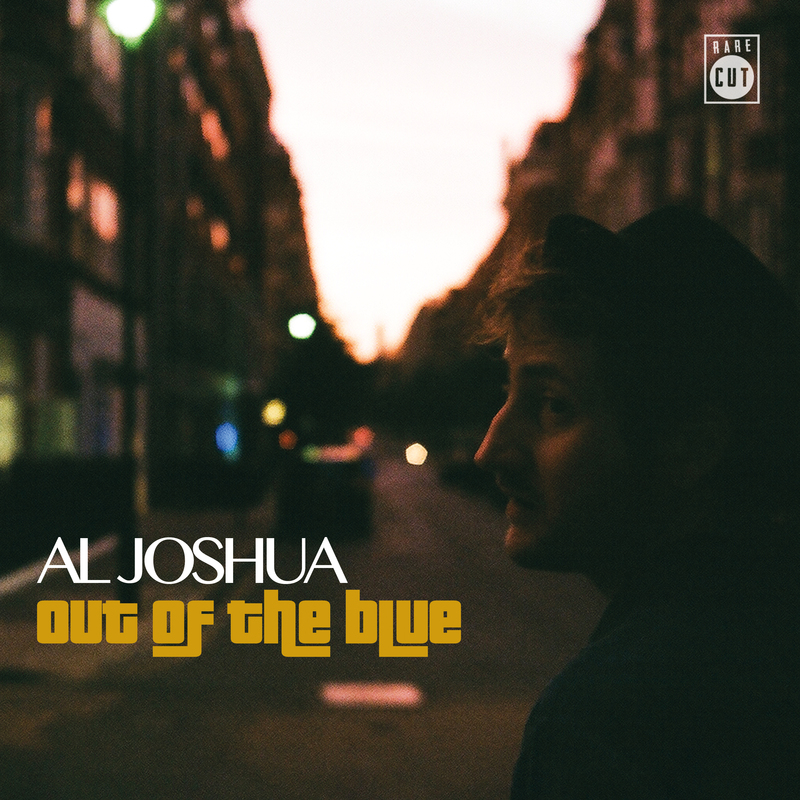 London based singer-songwriter Al Joshua has released his new album ‘Out of the Blue’ on Rare Cut Records. London based singer-songwriter Al Joshua has released his debut solo album ‘Out of the Blue’. The album is available on all digital platforms via Rare Cut Records. Out of the Blue arrives following three singles in quick succession, including the album’s opener ‘Johnathan’, selected as Tom Robinson’s BBC 6 Music Recommends Track of the Week. Out of the Blue unveils Al Joshua’s first solo album following his critically acclaimed Orphans & Vandals project which saw the release of ‘I Am Alive and You Are Dead’, in April 2009. At the time NME described the work as “A stricken, subtonic dream of London that makes the capital feel fresh”. Joshua then resurfaced in 2015 composing the instrumental soundtrack to the feature film “Set the Thames on Fire“, for which he also wrote the screenplay. Though a return to composition, the soundtrack didn’t feature Joshua’s unique voice or poetic lyricism. Something which ‘Out of the Blue’ sees a return to. “I lost somebody I loved and afterwards I simply drifted. These are some of the songs I wrote as I spun untethered through the years of low-paying jobs and cheap rooms and in and out of other people’s lives. I listened to Billie Holiday sing “I Cover the Waterfront” or “All the Way” – the way her ruined voice laid her heart bare as she sang “who knows where the road will lead us? Only a fool would say…” Bob Dylan’s “Red River Shore” and “Nettie Moore” moved me deeply and made me laugh. There were nights of Shirley Collins or Chet Baker, of Charles Aznavour, of Tom Waits’ “Alice”, of Judy Garland and “Somewhere over the Rainbow”. Obviously, I’m no Billie Holiday, no Bob Dylan or any of those other artists, but that wasn’t the point. They gave me stars and a moon to row towards. Their voices illuminated the dark waves around me. They filled me with strange joy. And then one day I ran into my old friend Tim Hamper in Soho Square. Tim is a great engineer/producer and I had worked with him before when I was in the band Orphans & Vandals, and on a film I wrote called “Set the Thames on Fire”. He came back to my room and listened to some of the songs and finally the idea of actually turning them into an album started coming into focus. There were the great days when some of my favourite musicians came to help out – Mikes Sakelliou on clarinet and mandolin, Bodo Maier on trumpet and Alexander Metcalfe who arranged strings for us and contributed some piano and accordion. But mostly it was just Tim and I in the studio, laughing and eating chocolate biscuits and medication, evenings and weekends. If I sometimes grew frustrated, it was just that time passes slowly in the studio. And still, I didn’t know what I would do with the album once it was finished. And then, as we neared the end, I got an email from Rare Cut Records asking if I was planning on making another album some time. Propitious timing”. Out of the Blue was recorded at Tim’s Viva! Recording Studio, produced by Al Joshua and Tim Hamper. The cover photograph was taken by Al’s boyfriend as they walked down New Cavendish Street and through the maze of roads near his old bedsit on Maple street where many of these songs were written.